Bananas are extremely popular in South India, and there is quite an array of options to choose from! In fact you’ll be hard pressed to find a Kerala sadya that doesn’t serve a small banana along side the main meal! Bananas are so loved that they are introduced right in infancy, in the form of Raw Kerala Banana Powder Porridge for babies. For this you need to use the raw, larger varieties of Kerala bananas, the kind that are generally steamed when ripe. 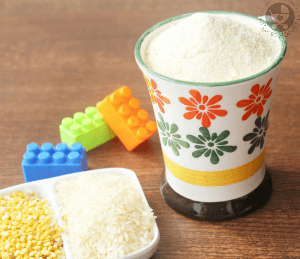 When can I give my baby raw banana powder porridge? 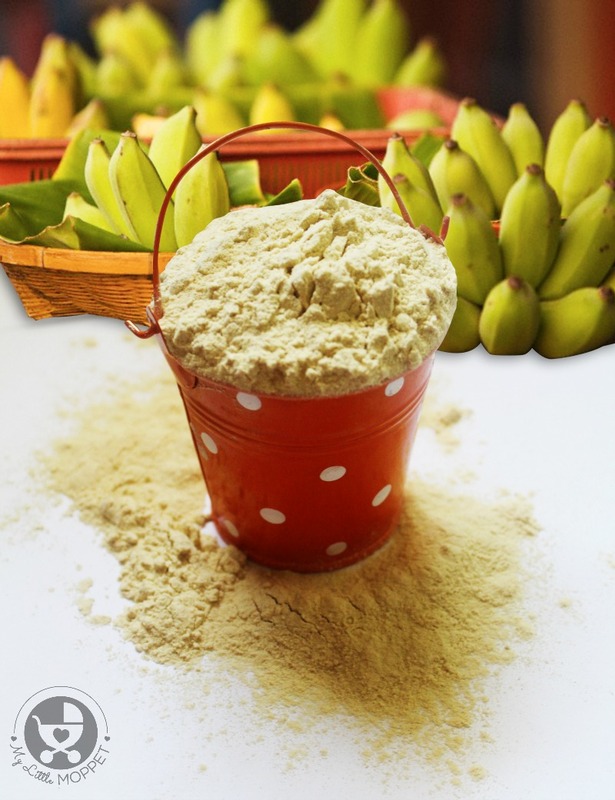 The raw banana powder porridge can be introduced after 6 months. 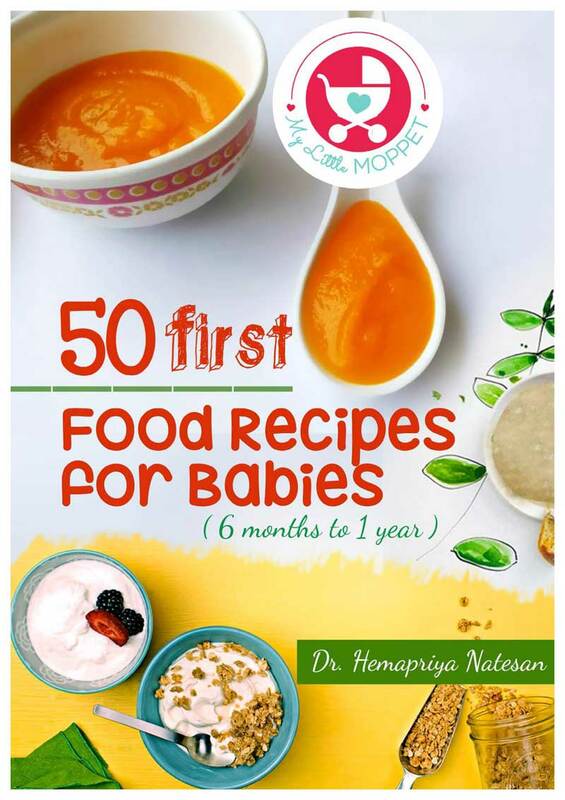 after other basic first foods are already incorporated in baby’s diet. 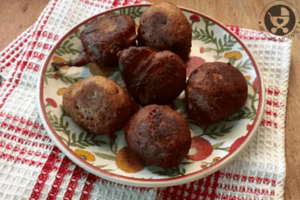 How to make Raw Kerala Banana Powder at home? 1. Chop both ends of the banana and peel the skin. 2. Use a slicer to slice them into thin strips. The thinner they are, the faster they’ll dry out. 4. Once completely dry, grind to a powder. Sieve to get rid of the coarse particles so you’re left with a fine powder. Store in an airtight container. 2. Cook for 15 minutes on a low flame. Serve lukewarm. Bananas are a very nutritious food and can be had at any time of the day. 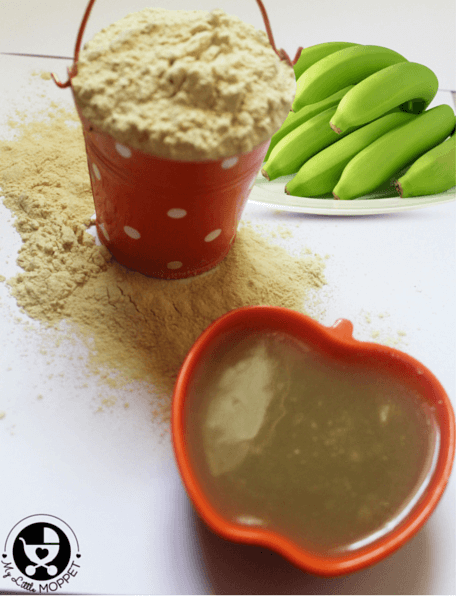 Give your baby’s morning a good boost of energy with this yummy Raw Kerala Banana Powder Porridge! 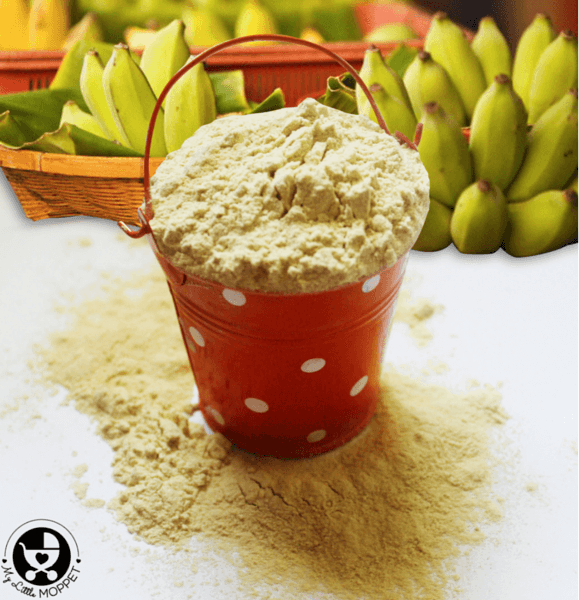 Introduce your baby to the wonderful world of bananas with this yummy and nutritious Raw Kerala Banana Powder Recipe. Chop both ends of the banana and peel the skin. Use a slicer to slice them into thin strips. The thinner they are, the faster they'll dry out. Once completely dry, grind to a powder. Sieve to get rid of the coarse particles so you're left with a fine powder. Store in an airtight container.  To make Raw Banana Porridge for Babies: Take 1 tablespoon of powder and mix it with 100ml of water or cold milk. Cook for 5 minutes on a low flame. Serve lukewarm. 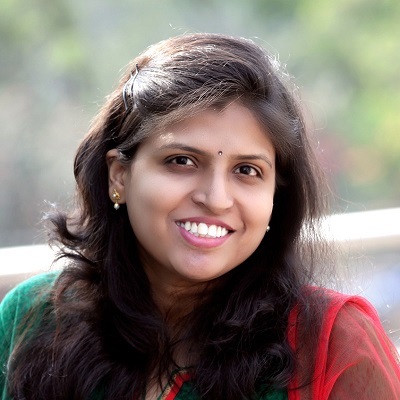 While introducing, start giving in day time. Please do follow 3 day rule. While giving for the first time give little and once in a day, gradually quantity can be increased. You can use any trusted brand which is 100% authentic with no preservatives. I got the Raw Banana powder from your online store. My Baby is 9 months old and I tried giving him but he did not like it. 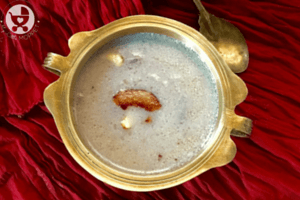 I do not want to add sugar or jaggery at the moment, Can you suggest if I can add any fruits to it for sweetness? Yes dear, you can add fruit purees to add sweetness. Can we use vazhakkai? Please reply… Will our regular vazhakkai cause any prob? It has to be raw kerala banana dear. It is very nutritious with several health benefits. Vazhakkai is plantain. Thank you so much for your recipie. It is very useful. Could you please calrify how long we can store this powder if we make it at home? It can be stored in airtight container for 4 months (under room temperature) to 6 to 8 months (under refrigeration). I live in USA. 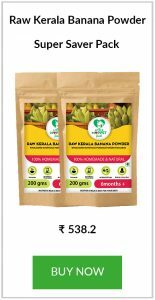 It costs almost $50 to get a pack of Raw Kerala Banana Powder shipped to me. Can you provide me with a store in the US where I can purchase your products? Sorry dear, As of now we don’t have direct outlets in the USA. My baby is 7 month old. 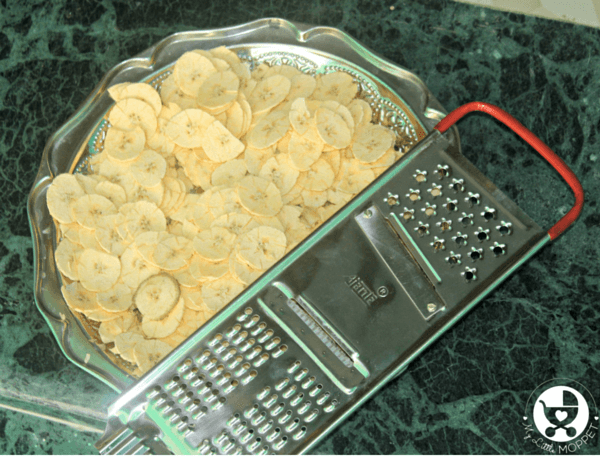 It is oke to give kerala banana after steamed and blend to puree ? No dear there is usually no digestion issue. You can start with very small quantities. Sure you can dear. Please start with very small portions. Hi very nice recipe want to try immediately. 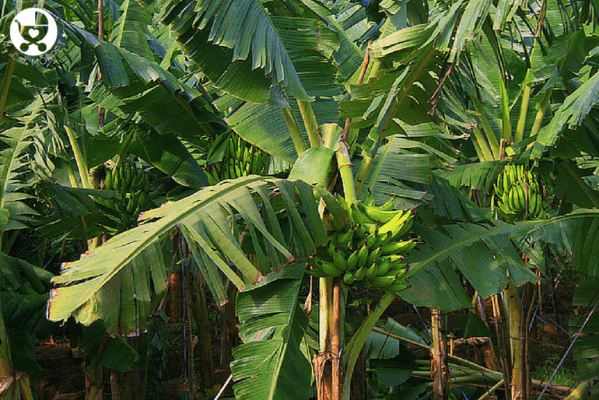 What is raw kerala banana? Is it same what we generally used to make curries called as plaintain ? My baby girl 7 month old is having light cough. Can I feed her raw banana powder poridage. My baby lked ur raw banana powder ..Aroma n taste s good..My baby stool is black aftr giving this powder s thr is any problem in digestion..?? Can I give package raw banana powder to my baby? 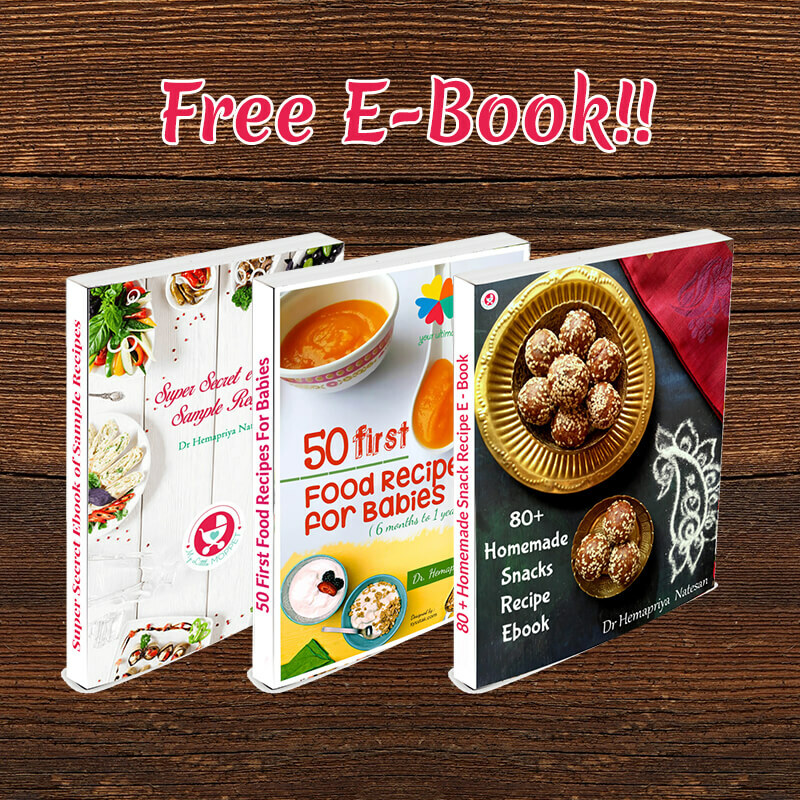 You’re products and recipes are quite impressive and easy. I like them very much and thank you for sharing. My son is 4 years old and he is asthmatic .. I cry when every he gets cold and have to give a lot of medicine. Plz suggest diet chat to boost his immunity. Where do I get this powder in Pune? In Kerala stores? or can i shop it online on your site? 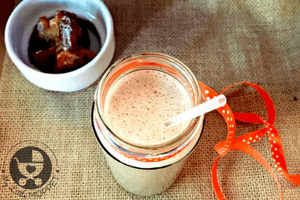 Pls share the link of Kerala banana powder milkshake and halwa. All your recipes are so nutritive and easy to cook 🙂 can we make this powder with medium riped bananas or only raw bananas are recommended? Can we mix dry raisins to this recipe? Also, I was told by my friends that we should cook this recipe for more than 20 minutes (for 2 tbsp) and if not it will not be easily digested by the baby. Is it true? 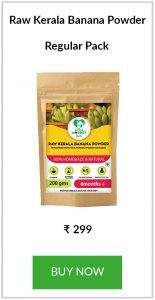 In kerala, we make raw banana powder with Kannan Kaaya as well ; considered very nutritious and beneficial for young digestive system. 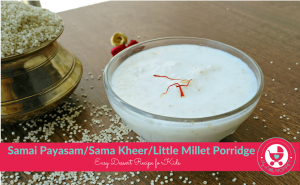 Hello Hema can we mix badam powder to this porridge? can we use this as instant porridge also? I stay at Bangalore and wanted to buy this powder, can you tell me if you have COD option atleast for Bangalore. And also can we mix a spoon of dry fruits powder to this porridge. You can buy from this Link Raw Kerala Banana Powder It is available in our store now. I m in b’lore… can i get dis home made banana powder in any other shops?? Where can i get it?? ?